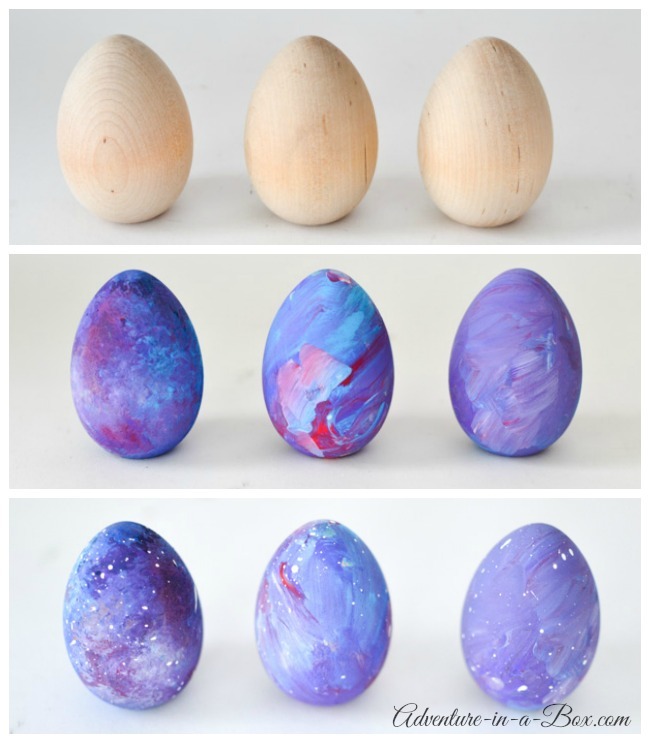 Take your Easter egg craft to a new level and create little space eggs. 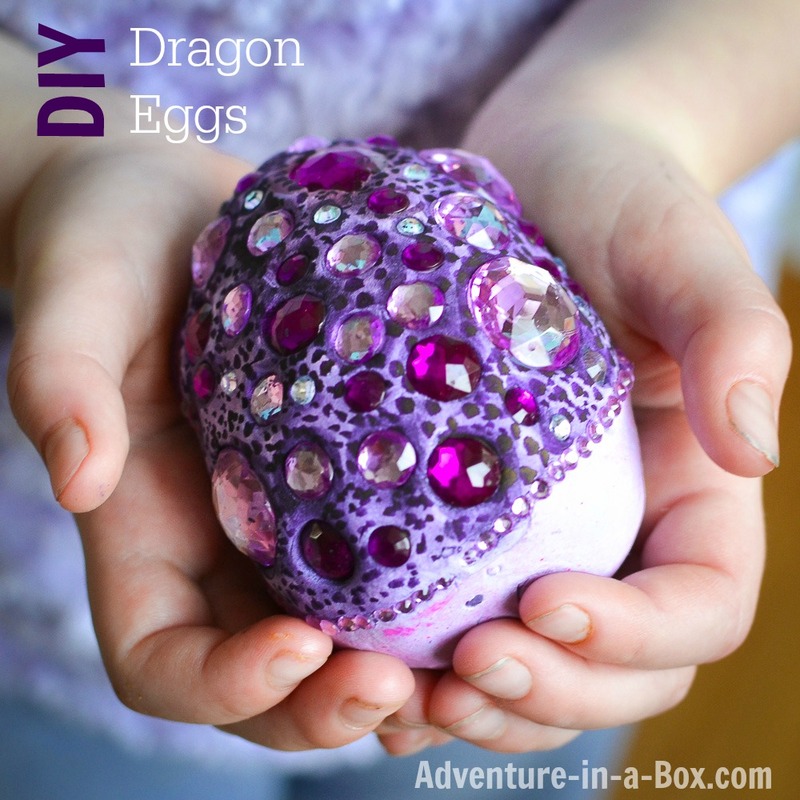 Kids will love painting these! 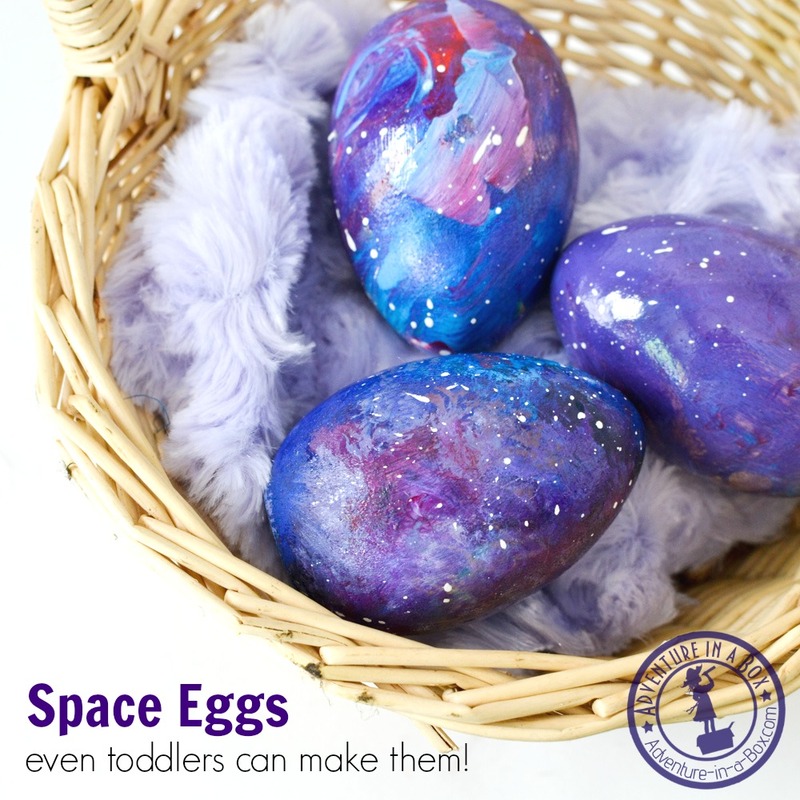 Two of our space eggs were made by my two-year-old toddler. The other day, my two-year-old son saw me painting some wooden eggs. Immediately he was overcome with the excitement over this new purpose for eggs. “Paint eggs!” he said and hurried to bring his set of paints in case I did not understand his intention. So I had to quickly come up with a nidea of how we can paint eggs together. 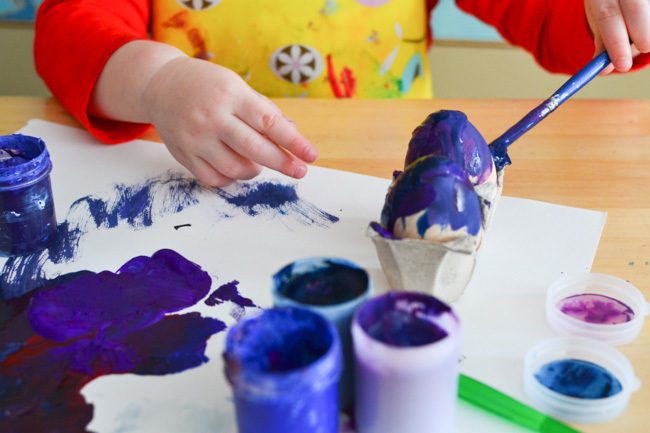 – tempera or acrylic paints (blue, purple, red and white): We used gouache since it’s washable and works better for little children; I’d recommend acrylics for older kids and adults. I find that the tricky part in painting the eggs is making sure they do not roll off the table, painting everything on the way. We tried using a couple of cells from an egg carton to hold them in place. The rest is taking paints out and having fun creating egg microcosms. The layers of paint need to be fairly thick to provide good coverage. I couldn’t resist making a space egg as well. The opportunity doesn’t present itself every day, does it? The two eggs that Budster painted are the ones on the right, made with big nebulous strokes, and mine is the one on the left, painted by dabbing with the brush to create a mottled texture. Once the paint was dry, we diluted some white paint in water on a piece of paper and flicked it on the eggs with a brush. This created a suitable starry effect. Finally, if you want to seal the paint, use varnish. 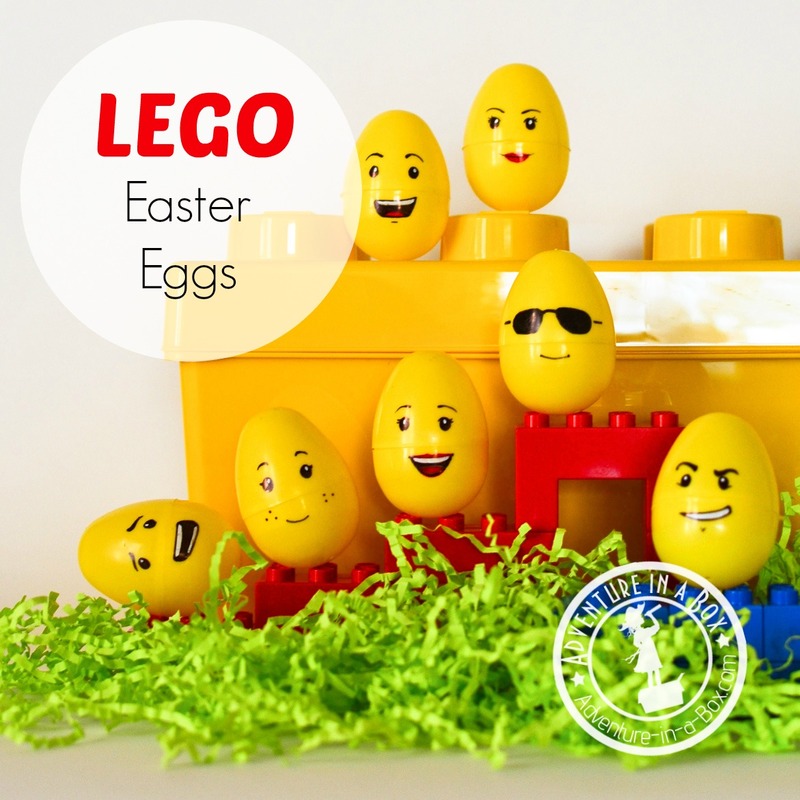 It will protect the surface of the eggs against water, and if they get dirty or dusty, it will be easy to wipe the dirt and dust off. Glossy varnishes will also make the colours more vibrant and the surface smooth and shiny. But if you used gouache like we did, make sure to use a varnish that is not water-based. And the eggs are ready! Beautiful! 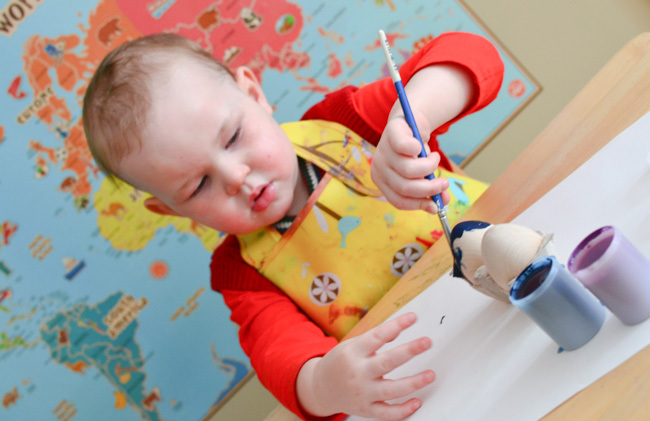 Can I ask where you got the map in the background of your son painting eggs? Thank you! It’s this map by Wall Pops: https://www.amazon.com/dp/B00CF0QKTS/ref=olp_product_details?_encoding=UTF8&me= Supposed to be dry-erase, but I’ve never tried it!